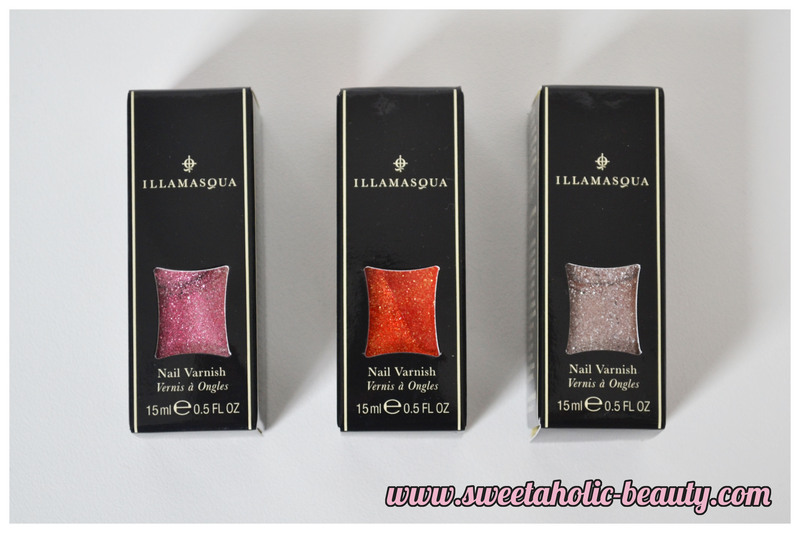 I am always impressed by the new Illamasqua collections these days! The things they are coming up with are absolutely fantastic, and the new Glamore collection is no exception! 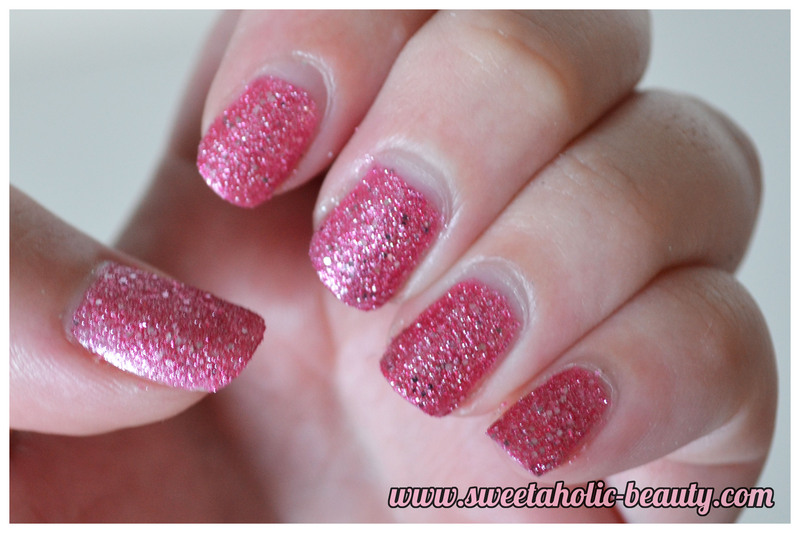 Boasting three stunning glitter polishes, I am in love with the colours and textures of these babies! Illamasqua has aptly named them Shattered Star Nail Varnishes! Akin to other textured nail polishes on the market, Illamasqua released three beautiful colours in the Glamore collection; Fire Rose, Marquise and Trilliant. All three colours are quite magical, and right up my alley! All of the above swatches are done with two coats, but would have been perfectly decent with just the one. (This is one thing I love about Illamasqua polishes.) My favourite has to be Fire Rose, as I'm a true pink fan, but I've noticed most people fall in love with Trilliant. But we can't forget about gorgeous Marquise, which reminds me a lot of fire! I think all three colours truly embody the idea of glamour in the modern age, and I will definitely be rocking these babies on a night out! In terms of application, I found these a little easier than some textured polishes. Some dry far too fast, and once they're dry you can't really touch up. These ones dry fast, but not too fast that you can't fix it if you make a mistake. I found these ones didn't chip a lot either, even without a top coat, so I was pretty impressed - but when am I not with impressed Illamasqua polishes! All in all I absolutely adore this trio. I love the colours and the application, so all around these are great polishes. I can't recommend Illamasqua polishes enough, and it's lovely that they've introduced a few textured polishes! I really do hope they extend the line, as I would love a collection of every colour! These retail for $22.50AU. Have you tried the Illamasqua Shattered Star Nail Varnishes yet? If so, what did you think? Are you a fan of textured polishes in general? I love these shades! I haven't tried an illamasqua nail polish before, I might have to buy some! Aaaah, these look so beautiful, I particularly love the look of Trilliant. And BTW, so lovely to finally meet you the other day. I love these! They're even better in person - great swatches! Wow these are beautiful! I'm currently trying to beat the nail biting habit so when my nails are as beautiful as yours, I will definitely try this out!